Sara at Sew Sweetness is having a different challenge each month with her Minikins patterns. 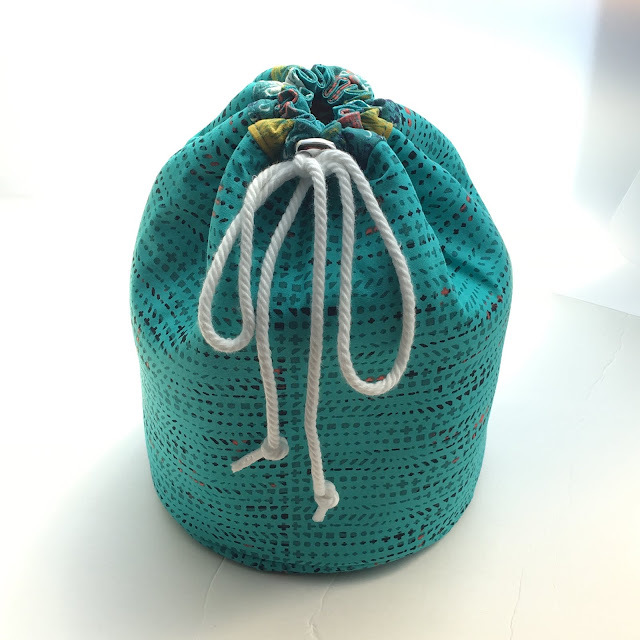 The Minikins are 12 cute-as-a-button patterns of small bags, with step-by-step videos, that are fun to make, use and give as gifts. 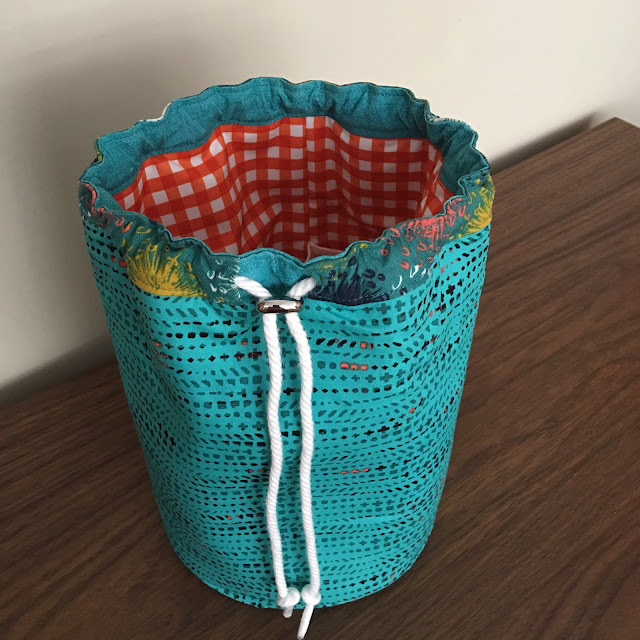 The Minikins challenge for July is the Jetset Cinched Bag. I really love how mine turned out. But I'd like the drawstring to close tighter. I've been thinking about how to make that happen. Sara says in her video that she eliminated the interfacing from that area for just that reason. I'm wondering if making the tube area finish at 1 1/2" or 2" would help. The pattern has it finish at 1". 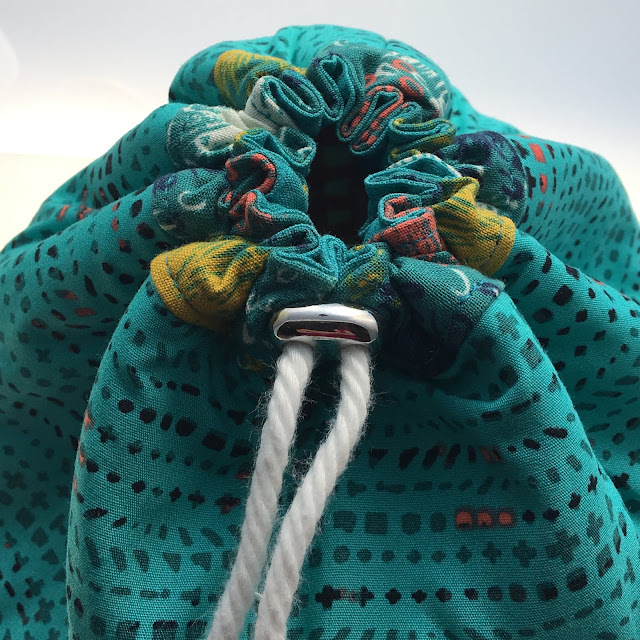 Or maybe eliminating one of the three layers that make up the tube area would allow the drawstring to cinch up tighter. Adding one of these cord locks to the drawstring helps keep it closed and looks very professional! 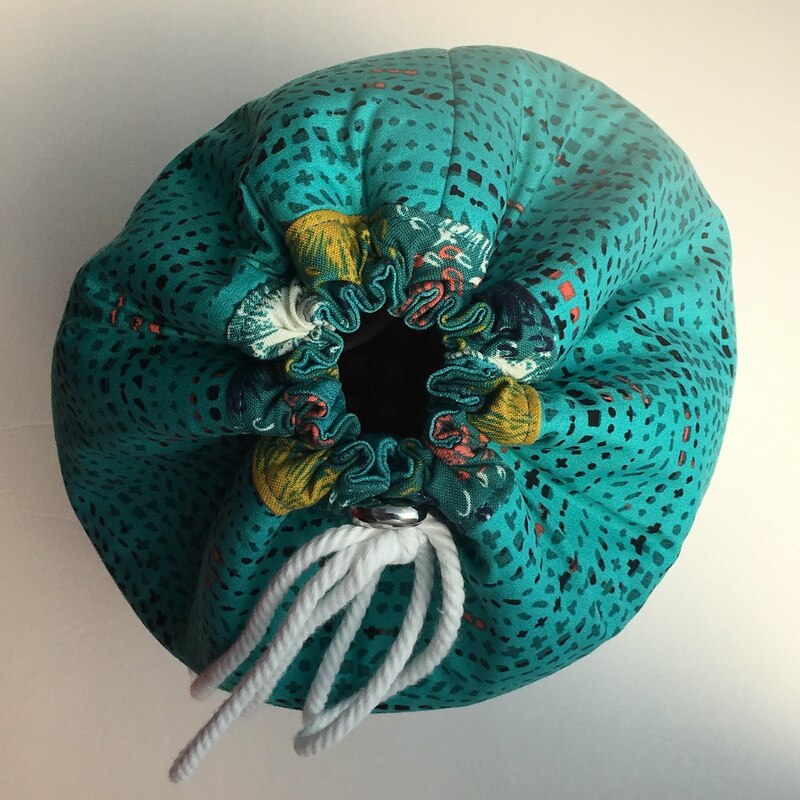 You can find sew many variations of the Jetset Cinch bag at Sara's link-up here. I especially like the versions made from "candy" fabric packs. 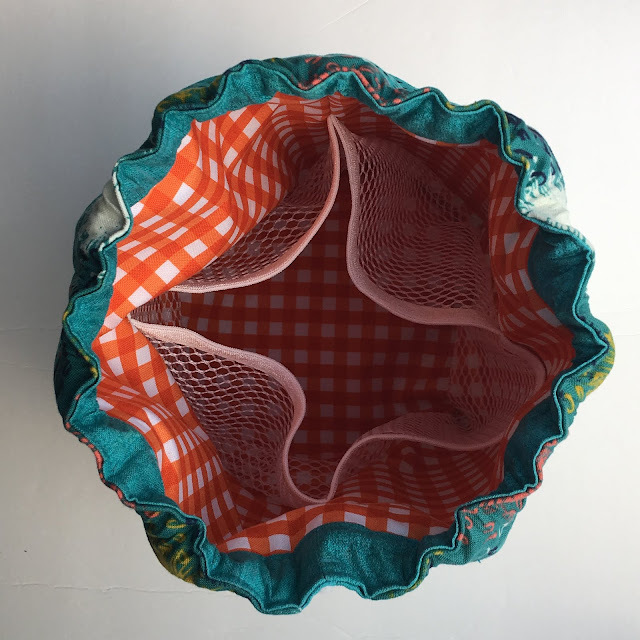 Check it out now, to see the bags made so far, and again at the end of the month, to see all the Jetset Cinched Bags made for the July challenge! Mine is number 72. Linking up with Freemotion By The River, Let's Bee Social, Midweek Makers, Clever Cameleon, Needle & Thread Thursday, Confessions of a Fabric Addict, Friday Foto Fun, TGIFF, Busy Hands Quilts. What a cute, cute bag! It looks amazing! I admire anyone who can make bags...I do not have the patience at all for it! That is a really cute bag, Nancy! Love the fabrics! Your little bag is adorable, love the inside mesh pockets. Very cute and functional bag! This will come in handy when you travel. Cute fabrics and bag. As always, very professional. I love the vacation video! Oh how adorable! I wish I could add another project to my massive list but I just can’t. I’ll keep it in mind for future however. You never know what Island Batik might throw at us! What a great bag! I thought it was knitted when I first saw it - that fabric is gorgeous. Fun to see the video and guest appearance by Rose! I love your bag! Beautiful and handy! What a darling bag -- I especially like the mesh pockets inside. Thanks for sharing the drawstring bag. The mesh pockets are great! I have been away from Blogland this week, so just catching up with your posts and your DD2's vlog of your road trip. What fun! Hope your week is all good! Safe travels. Great bag...love all the inside pockets. Very handy. The colours you've chosen for your bag are just fabulous. And it is so beautifully finished too. I truly admire who can make bags look this good.... bag patterns and I just don't seem to get on.